Oh good. He’s that kind of grandpa. This is such a lovely looking town. 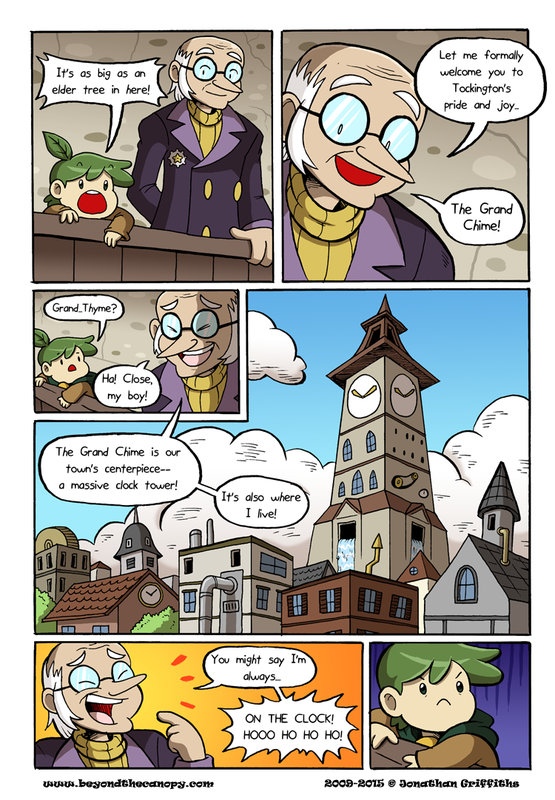 I wonder how inferior that small clock on the building must feel living in the Grand Chime’s shadow. Glenn does not appreciate your puns. Awesome comic, I love the spontaneity but also the deep plotline emerging. So creative!!! Great, now because of how you made him laugh, I’m reading him in Eggman’s voice (and I’m totally okay with that). Glenn’s “not amused” face is my life. I mean, you could say it that way, but you know. Don’t. Your jokes are corny as corn, old grandpa.